The newest release from Warner Home Entertainm ent, Justice League vs. 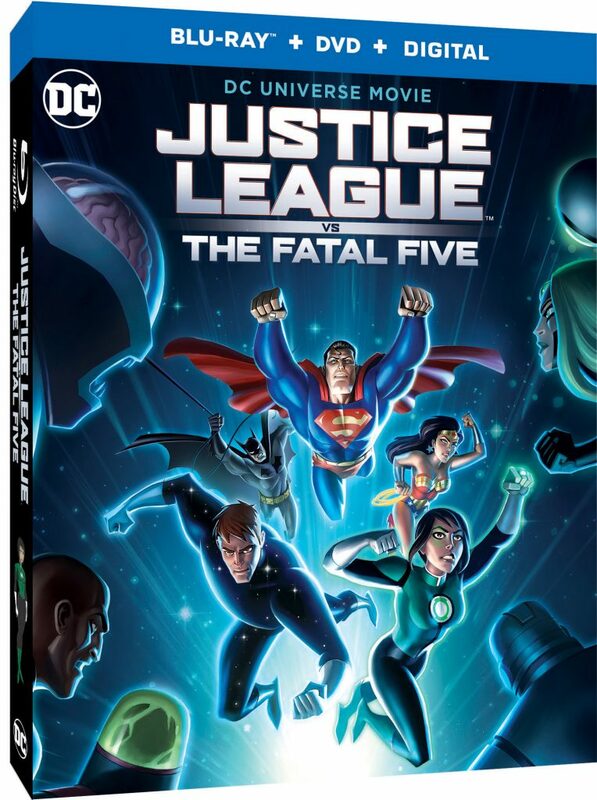 The Fatal Five arrives on Blu-ray today! The animated DC hero movies are never disappointing and I am pretty excited about this release. In this movie the Justice League goes up again villains from the future who have set their sights on destroying Metropolis. Released on March 30, Justice League vs. The Fatal Five is available to own in high definition and standard definition from select digital retailers including Amazon, FandangoNow, iTunes, PlayStation, Vudu, Xbox and others. As of today, Justice League vs. The Fatal Five is available digitally on Video On Demand services from cable and satellite providers, and on select gaming consoles. This entry was posted in Vids and tagged Batman, DC Comics, Diane Guerrero, Elyes Gabel, Green Lantern, Jessica Cruz, Justice League, Justice League vs The Fatal Five, Kevin Conroy, Mano, Persuader, Sam Liu, Star Boy, Superman, Tharok, Warner Home Entertainment, Wonder Woman. Bookmark the permalink.